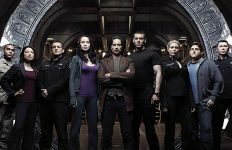 UPDATED: Watch "Philosophical," the second teaser trailer for Stargate Universe! UPDATE: MGM has advised us that “Philosophical” is a SCI FI Channel exclusive, so we won’t be publishing a high-res copy or screen cap gallery at GateWorld. You can watch the trailer at SciFi.com or YouTube (embedded below). The second teaser is titled “Philosophical,” and offers a more personal, more somber look at the faces (and voices) of each of the main characters. Watch it now at SciFi.com, or below (via YouTube)! 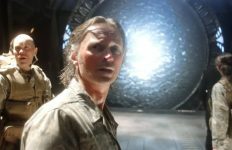 Stargate Universe is now in production. 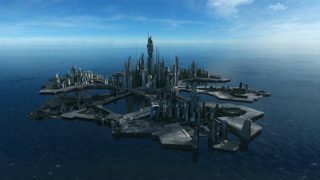 Learn more about the show and the first 10 episodes at the Stargate Universe Launch Center! Looks good :P hope our Sci-Fi channel here in Australia shows this later this yr and not 2010…? Nice trailer. But the first one was a bit better. Anyhoo… Here’s the YouTube linkage for those outside the US. Looks really good, and although I like them Id say for this trailer the same as the first one, I would have lost all but the last voice over. Excited for when this comes out, wonder how long it will be until promo shots are released! Of course these trailers are imposilbe to read, but reading it anyway :) I will say this looks a lot like ER or some other mainstream drama. Kinda lame, but yes, this is getting is exiting. You know I was on the fence about this and I really like Robert Carlyle as an actor. But, this trailer looks lame. It really looks like some CW show. I’ll give it a shot but this just really looks like some angst-driven bad ripoff of Galactica with hints of ST:VOY and Farscape thrown in for good measure. Stargate has always been a great popcorn television series never meant to be taken seriously. They can never be the greatness that Galactica was. They shouldn’t try, either. This… trailer is a joke, right? Right?! 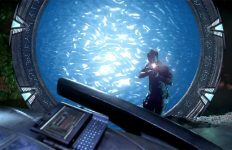 @composer01: It’ll be nice to see Stargate return to where it began — a show about exploring the unknown, and more importantly, how that journey affects those partaking in it. If action and special effects are what matter most to you, go watch 24. I’ve asked this question before but didn’t get an answer and this new trailer hasn’t really enlightened me either… does anybody know if Robert Carlyle’s character is Scottish in SGU or has he got to put on an American accent to suit the mass audience? They may include ‘Scottish’ under the catchall ‘British’. @composer01, at least give it a chance! You may enjoy it. Also, it was Showtime, not HBO that first aired Stargate SG-1 from Season 1 to Season 5, Then Season 6 to Season 10 on Sci-Fi. 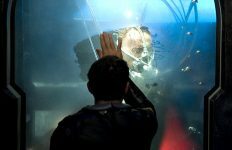 @Sanguine the reason people are complaining about it is they don’t want to see another side of Stargate, I personally am happy with it how it was (well it started to get a little too dark at the start season 4). Also I HATE BGS with a passion. The fact is they changed to show to more drama based because they thought it would get more viewers they just didn’t think that the fans like it how it was and wouldn’t like change. I hate the music reminds me of a CSI preview. I am hoping this preview doesn’t do this show any justice. Loved the first one better.